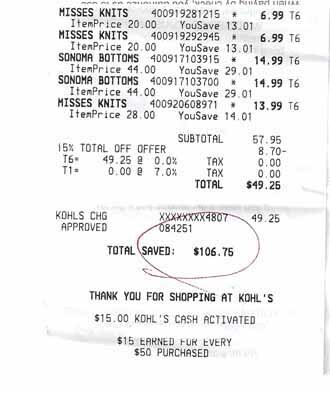 Lynda Grace An Hour Away: Using The Force to Get My $15.00 in Kohl's Cash Back! Let's put it this way: go, and use the force...a lot. 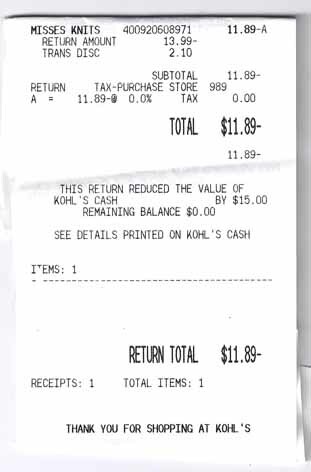 I did use the force and Kohl's came through and gave me back my $15.00 in Kohl's cash. And I totally agree, the whole thing is smoke and mirrors.